Tome of Horrors Reborn for 5th Edition! Frog God Games unleashes the next iteration of its iconic Tome of Horrors series for 5th Edition. Hordes of sinister adversaries, restless dead, and other horrific monstrosities to gleefully challenge your players’ expectations. 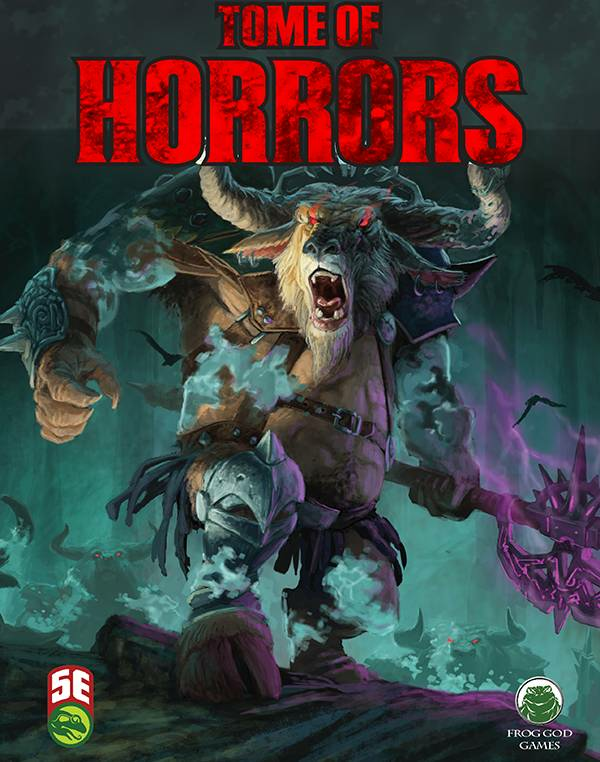 Bursting with hundreds of creatures, new additions as well as converted classics, in a library-bound and stitched full color volume, the next Tome of Horrors will be a must have for your 5th edition campaign. The Tome of Horrors for Fifth Edition includes a selection of creatures from earlier volumes as a kick off for an entire series of fifth edition books.